He showed up in Tacoma at a meet and greet with fans and the media in April 2010 in a suit that looked like it came from Miami Vice’s costume department. The Rainiers were unveiling a new logo, but many of the press questions focused on the team’s new uber-talented but mercurial center fielder. Alonzo Powell talked about working with Halman on his approach, how willing to listen and learn he was, and about his prodigious natural talents. In his first game at Cheney, he looked foolish against Jhoulys Chacin for a few ABs, but made a great play in the field. Then, when he made real contact (I think it may have been against his future teammate Chaz Roe) – the bat sounded unnaturally loud, like an over-the-top Hollywood special effect. In April, he looked exactly like you might expect, given his scouting report: like a collection of amazing tools that hadn’t quite coalesced into a great player. He had an up-and-down year, but he showed enough freakish ability that I knew he’d have some sort of MLB career. He wanted it so much (the contrast with the incumbent M’s LF at the time, Milton Bradley, couldn’t have been starker), he had speed, power, defense… yes, his K:BB was bad, but he’d have a week here and there where he’d hit 4-5 HRs with another 4 2Bs. The A’s drafted Michael Choice, George Springer was racking up HRs (and whiffs) in college – who cared about strikeouts? Seriously, just LOOK at this kid. It’ll make sense. This morning, I woke up to see the photos on Geoff Baker’s blog of Halman smiling and talking with kids in the Czech Republic. All day, I’ve been thinking about what Halman meant to these kids, a guy who grew up in the baseball backwater of Europe who’d made it to the Major Leagues. I imagine he told them how hard he worked to be where he was, and about always getting advice from coaches and teammates. I like to think that he learned something about how to approach the game, and about preparation, from Ichiro – and that he passed along this wisdom to the Czech youth earlier this month. The scene seems completely surreal to me – a young Dutchman, trying to impart the synthesis of Ken Griffey Jr (thesis) and Ichiro (antithesis) to Czech teenagers. Here was a guy just like them who, having fought the curveball to a draw, got to play with his hero, and got to learn from this crazy, monomaniacal Japanese guy who seemingly never struck out. Somehow, I think it must’ve made sense. My heart goes out to Halman’s parents. I can’t imagine anything about this situation will ever make sense to them, or to any of us. We’ll miss you, Greg. Well this is devastating to say the least. I just found out about Halman. 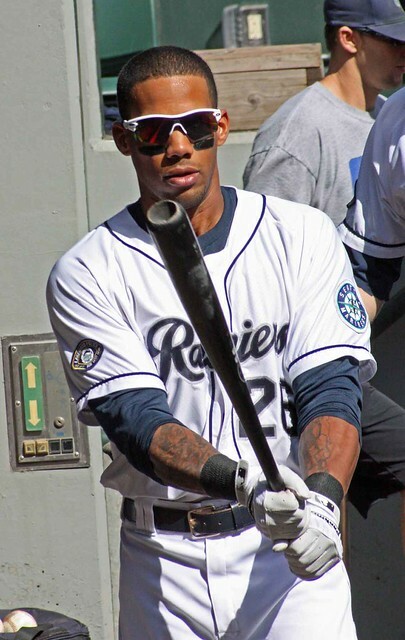 I sat down after work preparing to read about the latest MLB gossip and read about anything USSM crew had to post only to read Greg Halman killed under the Mariners tab on Mlbtraderumors. Its really a weird feeling and I can’t believe I read it. I remember how excited I was when he was playing with Seattle this year, he had his faults and failures but had successes as well. I was certain he would put it together someday. I remember checking my Facebook app at work and under wall posts was a picture Alex Liddi posted of Halman, Cortes and himself. I thought how cool to see a picture of them together, with out baseball being the center driving force. Three friends during a night out. It makes me sick that I did not find this out until just now, that I didn’t look at Liddi’s page. I was going to check it out for a minute but something came up at work I had to deal with. Ultimately, I am still in shock. Its a shame to see a family lose someone. And since he was one of ours it feels as though a family member was lost. I never met him or talked to him. I knew some of his stats and I was excited for the potential he had. I remember reading how he was a stand up human being and honestly, in today’s day and age that is a special trait. I feel for his teammates, friends and his family. This is tragic and I really can’t grasp the entire situation. Marc, thank you very much for sharing your Halman story and thoughts. It was very eloquent – as eloquent as is possible when, fundamentally, the underlying tragedy is senseless. My apologies if this is a bit maudlin, but I couldn’t help thinking this, as I read Marc’s excellent and personal account. I’d like to think that one good thing that can come from a tragedy like this, is to appreciate and humanize the Mariners players we have. It’s easy, especially in the offseason, to dismiss players that perhaps are not as desirable on the team, have had down years, or otherwise get labeled with specific expectations. I’m not trying to perpetuate the “look up from your spreadsheets, nerds!” stereotype, and I truly apologize if that comes across that way. My point is not to dismiss the great analysis we see and do here. It’s to try to remember the biographical, personal side too. Think of how Halman was discussed before – toolsy prospect, occasional flashes of brilliance, possible 4th outfielder or valuable piece of a trade for established talent. Now think of how he’s been discussed the last couple days – the enthusiasm, the professionalism, the dedication, the great teammate, the appreciative and giving person, the representative of his country who knew people looked up to him yet didn’t let that go to his head. Both viewpoints are accurate. Let’s hope it doesn’t take other tragedy to recognize the other good souls in and amongst the young players in the Mariners organization. Or really, in our own personal lives too. The fucked up thing is that the family is losing two kids, not just one. My little brother was killed in a car wreck five years ago this weekend. A tree fell over I-90 and crushed the cab of the truck he was riding in. He was twenty-two. His best friend was sitting right behind him, and walked away with scrapes and scratches. You can’t force it to make any sense. You’ll drive yourself crazy trying. Don’t. Love and appreciate the time you had together. We talk about random variance a lot, here, and how “luck” or “events beyond the control of the batter/pitcher/fielder.” This is another case of the same thing. Random, crazy, whacky stuff happens. You can’t control all of it. You just have to control what you can and accept what you can’t. Great article/post/story Marc. I took a day years ago to visit Haarlem as well. Beautiful, quiet town. Hard to believe a MLB player could come from there, but that just shows further how unique, special Greg was. The story about the Czech kids really hit home. In 2007, I was working for an NGO in Thailand. I remember accidentally getting Thai kids interested in baseball (very easily) and having a blast teaching them the game, as they did learning it. And I’m nobody! The impact he must have had on the Czech kids is probably still influencing them, their friends, maybe even their friends friends! It still doesn’t make sense to me. Still hard to believe and accept. My heart goes out to his family and friends. Thanks for the great post.